Why Change Your Toyota’s Engine Oil? Changing your engine oil is the least expensive and easiest way to extend the life of your Toyota. Replacing the motor oil in your engine is necessary in order to keep your engine performing at its best. The motor oil helps keep your internal parts and components lubricated, while protecting them against wear and tear. When To Change The Oil in Your Toyota? We advise that you change the engine oil in your Toyota every 3,000 to 5,000 miles in order to keep your engine performing like it was designed to. Your daily commute and the climate you live in affect how your engine is performing. For example, your Toyota vehicle should have its oil changed more frequently if you’re driving off road, or you do a lot of stop and go driving – but you should not exceed 5,000 miles between oil changes. By being able to identify the symptoms caused by an engine oil related problem, you may be able to save yourself a lot of money and headache down the road. There are a few common symptoms that we’re going to list below that will help you discover if you may have an engine oil related problem. Spotting oil stains under your vehicle can be tricky, especially in the summer time. The reason being is that the air-conditioner in your vehicle, once turned on, will begin to drip water. 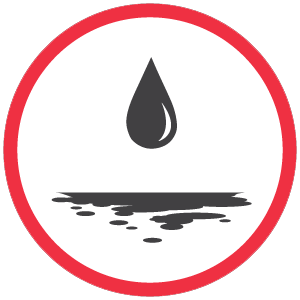 This water can sometimes be mistaken for oil if you’re just looking at the spill under your vehicle. 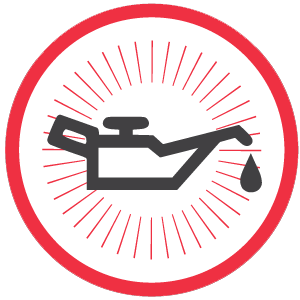 The most common areas that would leak oil include the Valve Cover Gasket(s), Oil Pan Gasket, or even the Oil Pan Drain Plug (or “Oil Plug”). If an oil leak is ignored, a small leak could quickly become a larger problem and damage the engine due to low oil volume. If you have reason to believe your vehicle is leaking oil, make sure to bring it in as soon as possible so it can be looked at. Major problems may arise if your vehicle is suffering from low oil pressure or if the oil light is on. Your engine needs a certain amount of oil in order to stay properly lubricated and function like it was designed to. If the oil light on your vehicle’s dashboard comes on and stays on after starting your vehicle; or if the oil light comes on while the engine is running (even if it goes off quickly), you should get your vehicle looked at immediately. Getting your Toyota’s engine oil changed in Cincinnati is one of the most inexpensive services you will perform when compared to other maintenance and repairs that will be required over the lifespan of any vehicle. 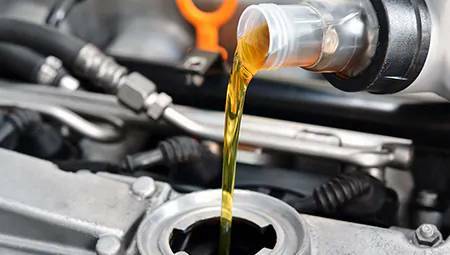 Although the cost of getting your engine’s oil changed will depend on the type of oil you use, you can expect the cost of your oil change to start around $49.95, and with Toyota Express Maintenance, we’ll have your Oil Change completed quickly and conveniently, so you can get back to work or home in no time! 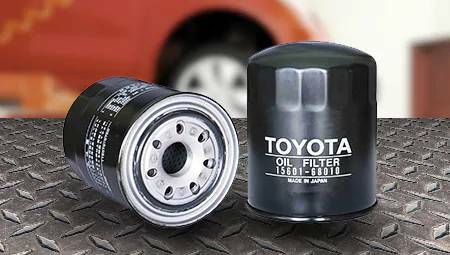 Beechmont Toyota of Cincinnati only uses Genuine Toyota Motor Oil and Genuine Toyota Oil Filters that are specially formulated to keep your Toyota running at peak performance. 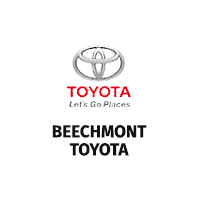 Beechmont Toyota’s certified technicians will not only inspect and make sure you engine does not have any problems, but will explain all of their findings, and give you advice and recommendations for getting the most out of your vehicle’s engine. Don’t wait until your vehicle breaks down to start caring about your engine. Protect your investment by consulting with one of our Toyota Service Consultants. At Beechmont Toyota of Cincinnati, we take pride in helping our customers keep their vehicles in optimum condition.